Are you a Pakistani, a Filipino, or an African who resides in New York City? If you are, well, you’re in luck! 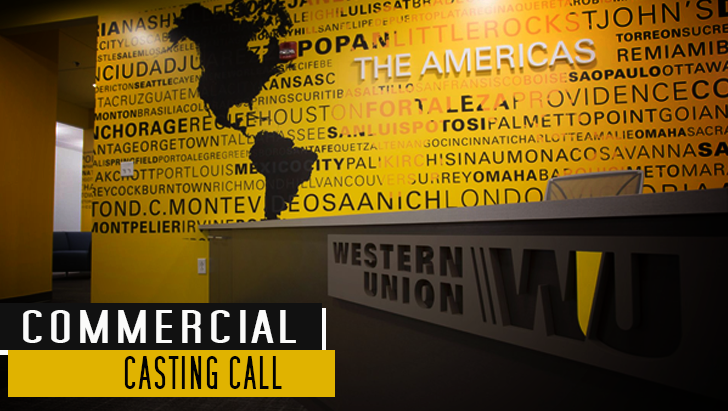 The global leader in money transfer services, Western Union, is looking for real people to be featured in their upcoming commercial. Share your most heartwarming, gratifying, amusing story of how Western Union has helped you connect with your family overseas. Don’t miss your opportunity to inspire people with your tale as only few will be selected for the commercial. To audition, apply and attend the given schedules for the interviews, which will be held on May 2 and 3. Deadline for the submission of applications, which should include your full name, phone number(s), e-mail address, and a recent photo, will be on May 1, 2015. Looking for real people from Pakistani, Filipino, and African American communities who have heartwarming, inspiring, and funny stories about how Western Union helps you and your family take care of one another. Interviews will be held on May 2nd and May 3rd.